Saffron and Paul had their wedding at Slaters Country Inn, a beautiful converted 18th Century farm on the edge of Newcastle Under Lyme, Staffordshire. Slaters have recently constructed a purpose build Wedding House, but Paul and Saffron had opted to have their ceremony in the main building – a fantastic decision by them! Upon walking into the main ceremony room I was taken aback by the beauty of the room. Paul and Saffron’s day was filled with love and laughter, everyone was so easy to work with – and Paul & Saffron really are naturals in front of the camera. If you are looking for a professional wedding video at Slaters Country Inn, Newcastle Under Lyme contact us.  “Paul & I would highly recommend Vision Wave Wedding videography. In general we can honestly say choosing to have a videographer was last on our list but we are so so glad we did, and choosing Vision Wave highlighted this even more to us when we received the professional service we did. Laura was lovely & easy to talk to in the run up to, on the big day & also after our wedding. Vision Wave provide a professional yet affordable service with various packages which we found really matched what we were looking for. The DVDs we received were beyond our expectations, the detail and thought put into putting the DVDs together are second to none and we have watched them over and over again- each time just as special. Laura also creates a ‘highlights’ video for social media profiles etc which we loved as it enabled our friends & families to see snippets from the day.